This tour offers a beautiful tour of Nepal around its hilly countryside in central Nepal taking you to hilltop views of the Himalayas as well as the terai flatland to experience the wildlife. Stay in select accommodations renowned for their strategic locations and quality of service. Day 1: Arrive Kathmandu and rest of the day at leisure. Day 2: Full day sightseeing of Patan city. 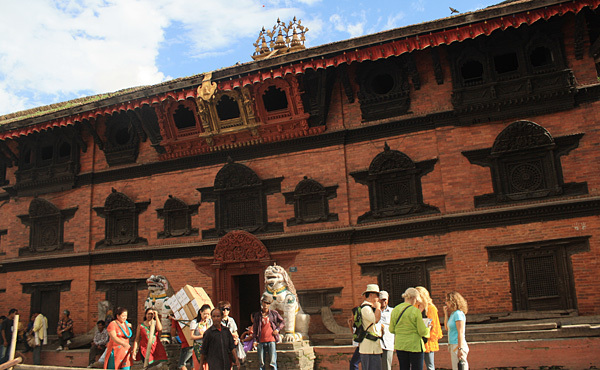 Day 3: Full day sightseeing of Pashupatinath, Boudhanath and Bhaktapur. Day 4: Drive to Gorkha. Overnight at Gorkha. Day 5: Morning excursion at Gorkha and further drive to Pokhara. Day 6: Full day excursion at Pokhara. Day 7: Drive to Tansen and overnight at Tansen. Day 8: Drive to Royal Chitwan National Park. Overnight at Gaida. Wildlife Camp or at Chitwan jungle Lodge. Day 9: Full day excursion at Royal Chitwan National Park. Day 10: Drive to Daman and overnight at Everest Panorama. Day 11: Drive back to Kathmandu, rest of the day at leisure. Day 12: Transfer to the airport for the final departure.